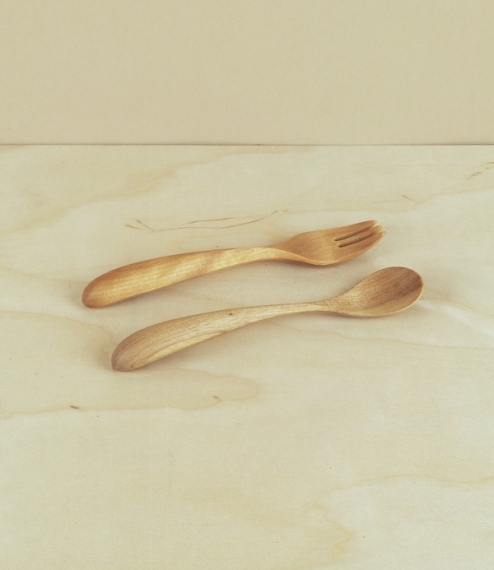 Unique wooden cutlery hand cut, ground, and finished by Inoue Hiroyuki of Atelier akarino-tane in Asahikawa City, of birch cut from the forests of the surrounding Hokkaido mountains and finished with a mixture of walnut oil and beeswax. This area is renowned for its long cold winters which perhaps grant the birch growing here a resilience in common with those from which kuksas are cut in boreal Scandinavia, making them the ideal timber from which cutlery might be carved. Light, low impact and easy to grip. 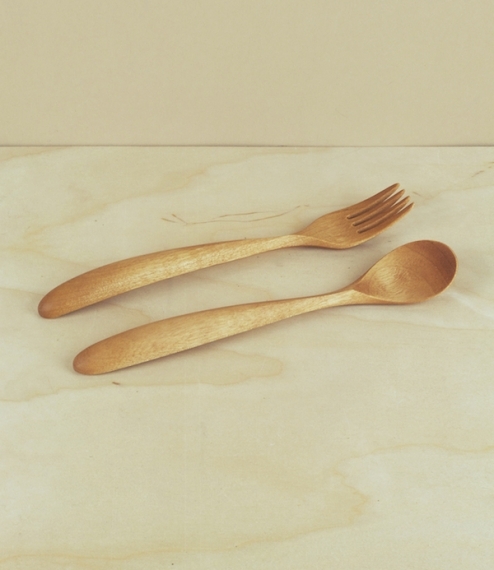 Like all timber products these are not dishwasher safe, and are best washed and dried fairly quickly after use rather than left either to soak or with food drying into the grain. This fork measures in the region of 30mm x 195mm x 20mm, subject to some inevitable hand made variation. Spoon available separately.